A new African and Caribbean spot has opened its doors in the neighborhood. 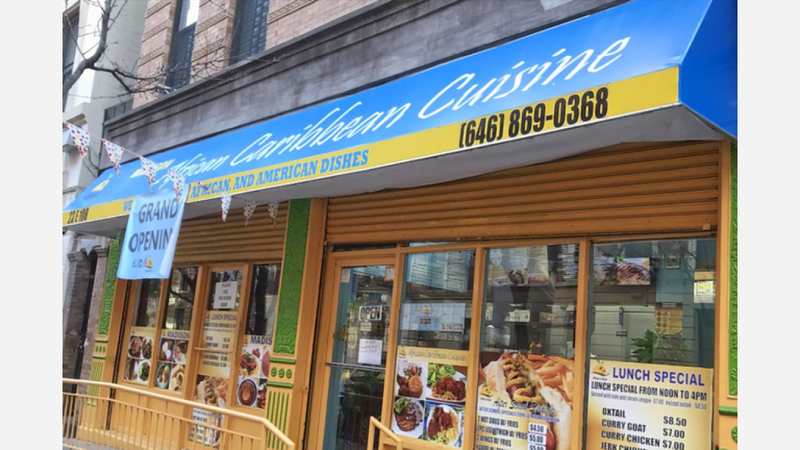 Located at 23 E. 108th St. (between 5th Ave. & Madison Ave.) in East Harlem South, the new arrival is called Madison African Caribbean Cuisine. This newcomer--located a few blocks away from the Museum of the City of New York and steps from Central Park--specializes in African and Caribbean-style BBQ, curries, jerk chicken, and more. The restaurant features an extensive menu and is open for breakfast, lunch, and dinner. Look for dishes like goat curry, barbecue ribs, and fried chicken with rice served with a choice of side like collard greens, mixed veggies, sweet plantains, or cabbage. There is a selection of soups on offer, too, such as cow feet soup, chicken noodle, and homestyle red bean. Rossano B., who was the first Yelper to review the new spot on January 18th, said: "Extremely friendly and the customer service is elite! The food tastes really good, and the location is convenient for me, so I will certainly be a regular here! Always ask about the African dishes, they are really good."